Pets are the most giving member of any family and deserve the best we can offer them. 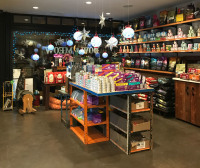 We are founded on bringing them the best possible grooming care, nutriment and retail products available. We are committed to doing our part on making their time with us as pleasureable as possible. The single most important thing you can do for your pet is feed them quality food. All of our food is grain-free and the highest quaility available. 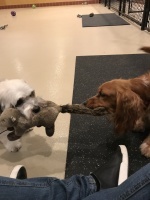 Daycare is offered to our regular grooming clients Monday - Friday. We limit the number of dogs to 10 insuring the personalized care we are known for. 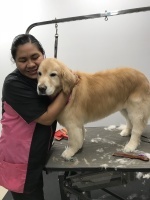 Chicagoland's only Licensed and Certified grooming facility for dogs and cats. 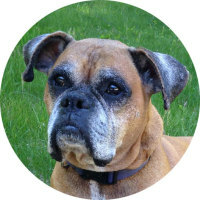 We are known for our complimentary Plumberry Facial and our Holistic approach to pet grooming. ARFit Dog Therapy by Todd Miner. 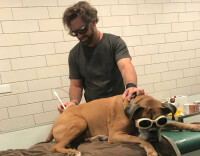 The ARFit program provides scientifically proven therapeutic procedures to improve your pet's quality of life with acupuncture, laser, dry needling etc.